2017 - Our Academy Maintains ICE Institute of Credential Excellence Membership. 2017 - Academy maintains TUV Accreditation for quality and training. → GAFM has entered into a global distribution agreement with Thomson Reuters and Pearson Education. Our exams would be available at thousands of testing centers worldwide. → GAFM ® International Board of Standards and our Certification Accreditation Council is a Proud Member of the: ACBSP , AACSB, ICE, NOCA, ANSI, ISBE, NBEA, UN-Civil Society, The AABFS Arabia, the IIFM India and more. If your institution provides accredited education and exams, contact us to have your program sanctioned for professional Certification Education and Exams. Ihlal International for Training and Consultancy becomes new Approved Training Provider. June 2015 – Business Programs licensed and approved in Saudi Arabia by the TVTC. April 2015 – IBS GAFM Certification Body passes TUV Austria Accreditation Approval Audit ISO 29990:2010 Training Certification and ISO 9001:2008 Quality Certification – Technischer Überwachungsverein is one of the most prestigious accreditation authorities in Europe and worldwide. Jan 2015 → Legal Buyout of the rights to all certifications by the Accredited GAFM ® and International Board of Standards of all of the AAFM certifications and designations. All Certifications from the Former AAFM are now conferred from the GAFM in the United States. The GAFM Owns all of the famous certifications and IP Intellectual Property. The FINRA and US Government are rebranding the AAFM to the GAFM as per the legal buyout of the certifications by the Accredited GAFM and International Board of Standards. → Jan 2015 - FINRA agrees to list the AFA Accredited Financial Analyst ® and AMA Accredited Management Accountant ® to the List of Certifications on the Education website guide. Jan 2015 GAFM and AAPM Alliance – GAFM secures trademark ownership of the MPM and Master Project Manager and Certified International Project Manager ® . AAPM and GAFM now have greater recognition and distribution in 40 countries worldwide offering Project Management Certifications. Jan 2015 - New Programs in Washington DC, Dubai, Singapore, Saudi Arabia, San Francisco, Peru, Mexico, Bahamas, Beijing, Hong Kong, Indonesia, Malaysia, London, Rome Italy and more. Jan 2015 - GAFM Approves the South American School of Mines and Management for distribution of certification courses and programs. Dec. 2014 - New Programs run in Istanbul Turkey. Successful graduates receive the GAFM Human Resources Certification. November 2014 - Chairman George Mentz appointed to the Advisory Council of the Higher School of Economics in Russia. August 2014 - GAFM International Board of Standards and our EU offices are in cooperation with ISO Standards EU for certification standards. August 2014 - GAFM signs global agreement with Thomson Reuters. Thomson Reuters Training Accreditation Alliance Approved. July 2014 - GAFM Advisory Council approves Thomson Reuters as a Global Certification Training Provider. March 2014 - New University chapters in Shanghai, Suzhou, Beijing, Guangzhou, Taiwan, Chongqing, UAE, KSA, MENA, USA, and Kazakhstan, and Hong Kong. March 2014 - Concordia University Worldwide approved as Chapter. GAFM is official syndicator of various certification programs. January 2014 - GAFM Works with Pearson Education for global exam distribution. January 2014 - India Government recognizes select AAFM designations for investment advising. Jaunary 2014 - UAE government uses AFA Accredited Financial Analyst credential as a model for certification training in the USA. January 2014 - South Africa Government Skills Council agrees to review certifications for qualification recognition. Jan 2014 - New chapters at Abu Dhabi University, UBT College Saudi Arabia , Pfeiffer University becomes new chapter, Tanzania Business School, PBC School of Finance, Tsinghua University, Shanghai China, Universidad de Santander, Virtual University at Monterrey Tech Mexico, MISR University Egypt, Bangkok University, and the Arab Institute for Accountants and Legal. December 2013 - Royal Society of Fellows recognizes the AFA Accredited Financial Analyst program as one of the Academy of Financial Management alliance program. July 2013 - Consulting with Securities and Commodities Agency of UAE United Arab Emirates. May 2013 - GAFM Launches new programs in Asia and Africa. Program meets with success for VIP executive training worldwide. Jan 2013 - GAFM Discloses its AFA ® and AMA ® credentials and standards to the Financial Industry Regulatory Authority. Jan 2013 - Advisory Board Meetings in San Diego. Nov 2012 - The GAFM Board consults with US Federal Government on Finance, Business and Management Careers and The Future for the 5th year. Jan 2012 - GAFM cooperates with UAE Securities Authority for educational standards where leaders at SCA join GAFM Advisory Council for higher global standards. Dec 2011 - GAFM® GAFM Consults again with US Department of Labor to assist people with Financial Careers and Job Information. Nov 2011 - Academy builds alliances in Asia, Latin America and Brazil assisting corporations and governments with standards. Sept 2011 - California Labor Department Includes GAFM in its labor guide. US Government Sponsored Certification Guide Includes GAFM Certifications. April 2011 - New Graduates from: Bolivia, Chile, USA, Taiwan, Korea, China, Africa and the MENA. April 2011 - GAFM listed as top 2 organizations for US Certification in Finance by CertificationsWeb. April 2011 - GAFM included in list of Top Certifications in the ACFE Association of Certified Fraud Examiners. 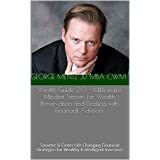 March 2011 - GAFM ® Founder - Prof. George Mentz named to the "Dream Team of Wealth Management" for SBM Advanced Markets Intelligence. Dec 2010 - GAFM International Board of Standards - Included in the references and publications of: Department of Labor, Financial Authority Reference Guides, Investopedia, California Department of Labor, Member of Institute of Credential Excellence, and US Congressional Testimony. August 2010 - GAFM CEO, Prof. Mentz has been added to the Panel of Experts for Advisor FX. Summit Media's - National Underwriter Co. and it's media companies have been providing services and research to the financial industry for 100 Years. July 2010, UK London - Academy Board Meetings in London. Met with directors and deans about MBA and law school articulations with new schools. July 2010, Singapore – Academy ® Asia is pleased to announce the accreditation of Financial & Biz-Ed Consultants (FBC) as our new training provider for Academy’s Chartered Wealth Manager (CWM ®) program. Academy ® Asia congratulates FBC on this accreditation and looks forward to a successful collaboration! June - Academy Sponsors Conferences in China and Latin American Nov. 2010. Feb. 2010 - News: The AAFM ® Board USA works again this year with US Government to provide opinion and insights on financial innovation, reform, and employment analysis. The AAFM ® Board - Academic Standards and Quality Commission to lead this AAFM® Task Force. Jan. 2010 - AAFM ® continues international alliance with The GAFM © Global Institute of Finance and Management Training and Consulting. The GIFM was chartered & founded by industry professionals, Revenue Professionals, Lawyers, CPAs & government officials. Jan. 2010 - AAFM ® Now working with Pan Asia Companies, UK Training, The International Tax Institute, The Securities and Commerce Institute, OET India. DEC. 2009 AAFM ® Forms diplomatic Alliance with Egyptian Finance Institute. DEC. 2009 AAFM ® Cooperating with China Government for Existing and New Certifications in Finance. Oct. 1st 2009 - AAFM ® becomes 1st in the world to achieve 100% transparency, listing, membership recognition and disclosure with : NBEA, ISBE, AACSB, ACBSP, RSOF, ANSI, AABFS, IIFM, UNESCO, DOE, DOL, IBA, IMA, AFMLA, and NOCA. Sept 2009 - AAFM USA Global Board Celebrates 10 Years as a Chartered Board of Standards. Before that, the AAFMA USA was the founding organization in the United States. August 2009 - AAFM is Honorary Co-Host of China Finance Forum - Leaders from AAFM agree to serve as advisory members. August 2009 - AAFM Signs Middle East Alliance with Arab Academy of Banking and Financial Sciences. See Press Release - AAFM and AABFS will be offering joint certification programs in 17 Arab Countries of the Arab League. Prof. Mentz will co-chair the new Arab Academy Certification Board that was chartered under the alliance. August 2009 - AAFM Sponsors 3 law school scholarships for special courses at TJSL. The Judge Byrnes and Judge Mentz Memorial Scholarships will be assisting the best and brightest in achieving legal education. Aug. 2009 - AAFM Sponsors the Best Paper Award for Latin America Conference. News: AAFM forms alliance with the WMSCC Wealth Management Standards Council of China and AAFM Board members are appointed as new members to the board. News: AAFM "non profit" Asia is the new representative of the AAFM Board for managing membership. AAFM Asia is based in Singapore, Beijing, and Delhi, India. Alert - Former training sub-chapter in Dubai Knowledge Village loses its Global Recognition. Trainer Certificates and Diplomas printed in Dubai or Africa are NOT recognized by the "AAFM Board of Standards and Presidential Commissioners" The AAFM Council of Justice has also made a determination to mandate that all training must be by a licensed and registered company. Any phony emails from www.aafm.ORG or theiafm.org are from an unrecognized hacker group who are Phishing for money ..
News: AAFM International Board of Standards enters cross recognition with Egyptian Finance Association in Cairo which has governmental recognition from the Capital Markets Authority. News: AAFM International Board of Standards officially recognized by the Indian Finance Institute and the Indian Business Academy. Prof Mentz and Dean Byrnes added to the Advisory Board of the India Institute. News: AAFM Establishes the Chartered Certified Economists Board of Standards. 500 New members join this month. News: AAFM has new partners in Malaysia, Indonesia, Philippines and Asia. AAFM Expands Training Distribution through Global Channels. AAFM & AAFM India, IIFM, IBA, BLB and BIFM Alliance offers: New Offices in Mumbai/Bombay, Delhi, Chennai, Kolkata and more. July 2010 - The Economics Certifying Board celebrates a decade of service in recognizes government recognized and accredited education as a certification path. Jan 2009 - The Boards approved Management credentials featured in featured in: Forbes News, The Business Wire, Reuters Global News, EuroInvestor News UK, Yahoo Finance, Morningstar News, Digital50 News, Direkt Broker Germany News, Ad Hoc News, Centre Daily News, Earth Times, Yahoo News, University of California News, ArabianBusiness.com NEWS, Express Computers Business News in India, and more. Jan 2008 - Expansion of approved programs in Asia, Latin America, and the Middle East. Feb. 2007 - New Degree Programs selected and approved. Dec. 2004 - Global Advisory Board meets in Europe for discussions on international relations. 2000 - IBS GBM forms alliance with the Graduate Leadership Institute. IBS now offers Sales Management Training and Certification. 1998 - A board of standards for certification created to mandate high standards in certification. 1997 - The academy chartered. The designation standards established. 1996 - The Financial Analyst and Tax credentials created and founded.